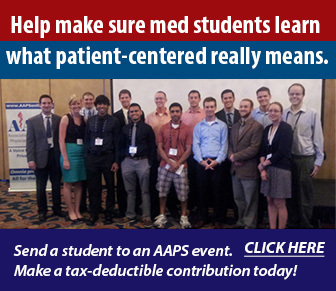 A message from AAPS President Michael J. A. Robb, M.D. I am the direct maternal-side descendant of Andres Bonifacio, a founder of the Katipunan, who led the Filipino people to independence by declaring their freedom from more than three centuries of Spanish colonial rule. Bonifacio would have been the first president of the Philippines had he not been assassinated by jealous and power-hungry men in the camp of intellectual General Emilio Aguinaldo, the first president of the Philippines. On my paternal side, I descend from a Daughter of the American Revolution with familial ties to Betsy Ross. I believe that we all need to preserve and pass along the inheritance of freedom that our forebears won. The revolution that we need against current trends in American medicine is actually a restoration of the eternal principles recognized at our Founding. More than a decade ago, shortly after graduation from a medical neuro-otology/oto-neurology fellowship, I became the first neurologist in Arizona to opt out of Medicare and privately contract with Medicare patients to offer them thorough oto-neurology sub-specialty care. I was guided by the physician testimonies and legal counsel of AAPS, the business acumen of my father, and the common sense of my mother. I have had no regrets, and do not feel at risk of professional burnout. Direct payment is the tested solution to the medical care cost and access crisis. This model is both patient-friendly and physician-friendly, and it allows more time for counseling, medical care, decision-making, and other clinically relevant tasks. I am registered with PECOS (Provider Enrollment, Chain and Ownership System) as an authorized physician to order tests and medications and to refer, but, I feel neither chained nor owned in my direct pay, third-party-free solo private practice, which has been helping and healing patients privately since 2003. My patients enjoy the extra time I spend with them listening and counseling, as well as the thorough examination, workup, and treatment plans. They use their PPO insurance, Medicare (except for services I provide), Tri-Care, and health savings accounts (HSAs) to pay for many aspects of the medical care. My consultation time is paid privately and is billed by the hour. Medicare does not reimburse the patient, but private insurances may pay. My private clinic doors are open to all patients in need regardless of what plan they may have. I welcome new patients. Nobody is turned away, but patients may turn themselves away for various reasons. Discounts, payment plans, barters, and charity care are all possible and freely negotiated. The free-market (voluntary) exchange of goods and services at the Robb Oto-Neurology Clinic works very well, just as the commandments and laws of God, nature, and economics predict. One can thrive, not just survive in a direct-pay model. The joy of medicine is alive. Modern medical miracles are happening. In addition to practicing medicine, I have time for academic reading, learning, collaboration, teaching, presenting scientific research, and even time for a personal, artistic, and spiritual life. Doctors have a responsibility to care for themselves and avoid burnout because we are needed. There are only around 45 to 50 oto-neurologists practicing in the U.S., so if I burn out, there is no easy way to sign out my practice to a younger physcian. Few oto-neurology fellows are trained per year, and most gravitate toward academic positions. There are also shortages in many other specialties as well as primary care. Most U.S. doctors see 11-30 patients a day, and only 25 percent feel that they are in a position to take on more patients or tasks. Twenty-three percent of physicians feel overextended or overworked, and 53 percent say they are working at full capacity. Having to work at a hurried pace under constant pressure is stressful and unhealthy for the physician. And how much healing can take place in 10- 20 minute blocks when the patient is new and the chief complaint is complex, such as dizziness, vertigo, imbalance, disequilibrium, hearing loss, tinnitus, decreased sound tolerance, headache, memory loss, anxiety, depression, insomnia, suicidal ideation, and much more? My practice model allows me to spend 60-120 minutes with complex new patients, and 30-60 with follow-up patients as needed. Most patients seem to desire one hour with their physician face to face to address all their concerns. Even free of electronic health records and billing/coding mandates, I cannot imagine seeing patients in 10-20 minute increments all day long in oto-neurology. I know I would be stressed, behind schedule, and likely to miss something. The patient-physician rapport would be sub-optimal. This rapid pace is a recipe for poly-pharmacy and cold encounters. I did not go into medicine to cause side effects, and I certainly did not devote decades of my life in academic rigor to end up an indentured servant in a “fast-food medicine” chain. Spending extra time develops rapport and allows for detailed and/or focused medical, neurological, and oto- neurological exams that reduce the need for excessive expensive tests while narrowing in on the exact special test that is most probable to yield an abnormality. The patients are grateful and much is accomplished at the initial and follow-up visits. At some point, patients are going to need more time with their physician, and they will keep searching until they find it. They are getting sicker on “fast-food medicine,” and they are blaming the doctors. Since I do not require hospital privileges or operating room or same-day-surgery facilities, this practice model is easier for me to sustain than it would be for many. In the future, I would love to see innovative colleagues establish direct-pay independent hospitals and surgical centers. The prototypical cash-pay surgical center, the Surgery Center of Oklahoma, is doing well in Oklahoma City (www. surgerycenterok.com). This is an exciting solution for the uninsured, who need to know where to go for surgery at a fair price. Patients who do not need an overnight stay save up to 80 percent on surgery, compared with the cost of “not- for-profit” hospitals. More third-party-free surgical centers are needed in all major cities. This promise has been violated almost since the beginning, and the 2015 Medicare Access and CHIP Reauthorization Act (MACRA) does just the opposite of what §1801 states. MACRA interferes with the patient-physician relationship under the pretext of quality, cost control, safety, and effective outcomes research. The only good aspect of MACRA rule is that the physician is now allowed to opt out of Medicare permanently, and the affidavit and contracts are good for life for the physician and the patient, instead of expiring every two years. They are: Marilyn Singleton, M.D., J.D. ; Jane M. Orient, M.D. ; Tamzin Rosenwasser, M.D. ; Kris Held, M.D. ; Alieta Eck, M.D. ; James Vernier, M.D. ; Jane Hughes, M.D. ; Parvez Dara, M.D. ; Al Fisher, M.D. ; Melinda Woofter, M.D. ; Nancy Weres, M.D. ; David McKalip, M.D. ; Mikaela Poling; Joseph Kasper, M.D. ; Lionel Brown, M.D. ; Jorge Guevara, M.D. ; Rob Hicks, M.D. ; Martha Leatherman, M.D. ; Marcy Zwelling, M.D. ; Eric Leichter; Judith Tharp; Bob Emmons, M.D. ; Rebekah Bernard, M.D. ; Charles Adams; Francis Roy, M.D. ; Judith Thompson, M.D. ; Rick Edgerly, M.D., and Conrad Maulfair. MACRA might easily stand for Malignant Act to Control and Restrain Autonomy, or Malicious Attempt to Coerce and Regulate Attendings. Participation in MACRA at best yields a nine-percent payment increase or bonus if compliance is excellent. The cost of compliance is surely greater than that return on investment. Moreover, taking the bonus does not guarantee improved quality and lower cost. It certainly provides more data to the government that may not accurately reflect the complexity of the patient, the art of medicine, and total care effectiveness. Doctors will be humiliated, as they are graded by agents instead of the patient. The patient determines value, quality, and ultimately total cost invested in care. It is natural and logical to have the patient be in charge of how much to spend for care. Government erroneously thinks it has to set prices to improve care and reduce costs. Who wrote MACRA? How many members of Congress read it before voting for it? How much did the staffers understand about the logistics of running a medical practice when they advised their representatives or senators? Why should physicians subject themselves to a long list of price controls, mandates, fines, and indirect taxes on time and talent, written by nonaccountable strangers and passed into law by elected officials who understand neither the law nor the logistics in running a medical practice? Acquiescence leads to indentured servitude. AAPS opposes the flawed MACRA, advocates for its repeal, and discourages physician compliance. Its program spending impact is minimal. It burdens small practices, for whom its exemptions are meaningless. It destroys patient privacy. It has no meaningful physician input. CMS scoring of physicians lacks justification. It is so complex that physicians can never be sure they are in compliance. Its “quality” metrics may actually be harmful. 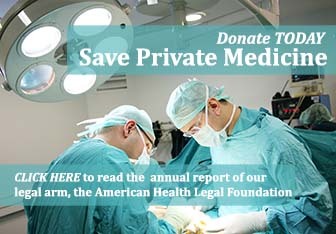 As a whole it violates the AAPS fourth Principle of Medical Ethics, which states: “The physician should not dispose of his services under terms or conditions which tend to interfere with or impair the free and complete exercise of his medical judgment and skill or tend to cause a deterioration of the quality of medical care.” Bonus payments that are predicated on compliance, data capture, and mandates inevitably taint medical judgment. Moreover, when a third party is paying the bill, the physician can get away with suboptimal performance, since the bill is being paid (30-40 cents on the dollar) regardless of whether the physician was below average, average, good, or great. If the patient is paying the bill, possibly with some third-party reimbursement, the physician must always do his best to serve the patient. As MACRA is a zero-sum game, the physician who receives a bonus or a good rating from Medicare online is indirectly benefiting from harm done to his physician colleagues. “cloud.” Medical privacy is further compromised. More than two million patient medical files have been hacked from clinics and hospitals to date. Names, birthdates, Social Security numbers, billing and credit information, medical history and diagnoses, lab results, and more have been stolen. Cyber-security is complex, risky, and expensive. Optimum security and training are needed because of government and corporate data mining purportedly intended to increase “quality” and reduce costs—a claim without adequate beta testing to date. Data reporting in the name of quality outcomes research will continue to set the stage for hackers to steal massive amounts of group data, as they have already been doing. Medical office staff are usually not trained in cyber-security at a level robust enough to prevent theft by hackers (J. Matusitz, personal communication, 2017). 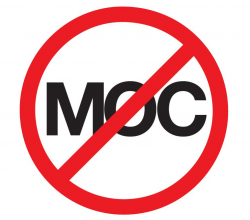 Physicians should not be afraid to decline to comply with MACRA. The cost of compliance far outweighs the increase of four-to-nine percent in reimbursement or the nine-percent bonuses at the end of the year. Also to be considered are the audit risk, the clawbacks, and the possibly negative online ratings. The risk of audit is high, and the odds of successful compliance are much lower than one realizes, because the Medicare bureaucracy can promulgate rules and change them as the game is played. Avoid the ethical temptations as well. Is there honor in taking money from your good, skilled colleagues in smaller practices or solo practices just because you have the infrastructure to navigate the Medicare Möbius strip? And remember that patient privacy, once compromised, cannot be restored. Accepting re-distributed taxpayer money comes with a price. Even if there is not a financial price (though there often is), there is a loss of professional autonomy, ethical integrity, joy in your work, and peace of mind. The ultimate goal should be to become third-party free, even if it is impossible to achieve immediately. 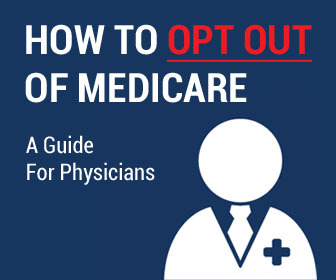 Opted-out physicians are free of MACRA. The value of their services is determined by patients. Solving the so-called healthcare crisis is difficult mainly because government conscripts people into Medicare. The longer Medicare operates, despite future insolvency, the harder it is to extricate physicians and patients from this single-payer model. With the weak economy and the destruction of the purchasing power of the dollar, patients have less disposable income. The concept of paying the doctor first and filing a claim is foreign to patients now, but it worked fine not so long ago. Patients may be more receptive now as they are paying high premiums and feeling cheated. They are frustrated by delays, payment limitations, and restrictions on their freedom. It is high time for all physicians who feel chained, owned, and burned out to become courageous leaders, with a duty to patients and colleagues, to reclaim the profession, to reject government and corporate medicine, and to offer patients something better than a “fast-food” paradigm. AAPS can offer much help for physicians moving toward independence, as in our Thrive Not Just Survive workshops and the library of videos from these conferences. If we do not seize current opportunities, American medicine is at risk of losing its premier world status. 1. Deveugele M, Derese A, van den Brink-Muinen A, et al. Consultation length in general practice: cross sectional study in six European countries. BMJ 2002;325(7362):472. 2. Brodwin E, Radovanovic D. Here’s how many minutes the average doctor actually spends with each patient. Business Insider Science, Apr 6, 2016. Available at: http://www.businessinsider.com/how-long-is-average- doctors-visit-2016-4. Accessed Feb 5, 2017. 3. Peckham C. Medscape Physician Compensation Report 2016. Medscape, Apr 1, 2016. Available at: www.medscape.com/features/slideshow/ compensation/2016/public/overview?src=wnl_physrep_160401_ms cpedit&uac=232148CZ&impID=1045700&faf=1#page=34. Accessed Feb 5, 2017. 4. Bernstein, L. How many patients should your doctor see each day? Washington Post, May 22, 2014. Available at: www.washingtonpost. com/news/to-your-health/wp/2014/05/22/how-many-patients- should-your- doctor- see- each- day/? utm_ term=. a7ad385a5c95. Accessed Feb 7, 2017. 5. AAPS. AAPS submits comments on MACRA Final Rule. Available at: http://aapsonline.org/comments-on-final-macra-rule/. Accessed Feb 25, 2017. 6. Chronister R. Healthcare & Security: A Hacker’s Perspective. Parameter. Available at: https://www.parametersecurity.com/healthcare-security- a-hackers-perspective/. Accessed Feb 4, 2017.